The Quantock Hills were the first place in England to be designated an Area of Outstanding Natural Beauty. 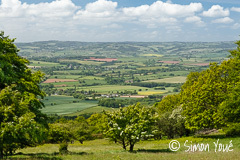 Quantock Online is for residents, businesses and visitors to our beautiful part of Somerset - established since 2000. More than a thousand pages of information and photographs - a continually growing community resource for the Quantock area. The Coleridge Way: detailed route plan, photographs and information on this 36 mile journey through the Somerset countryside.